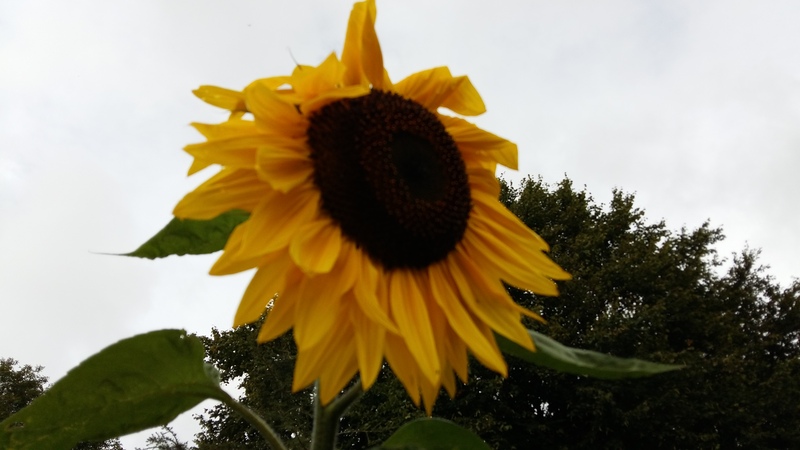 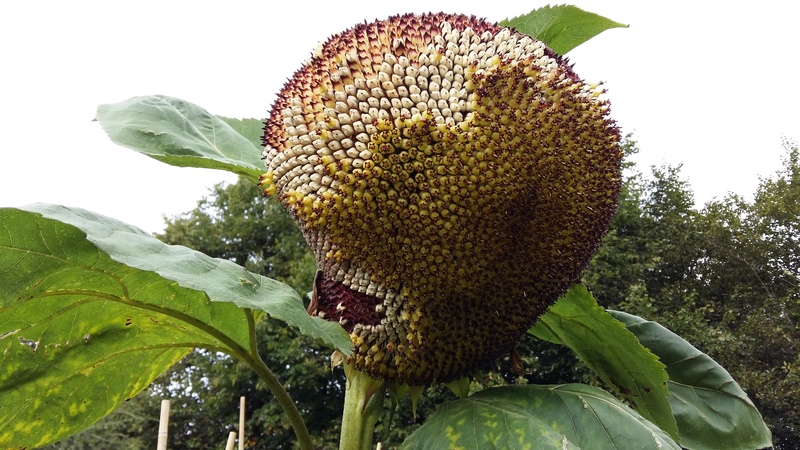 We had a lovely afternoon investigating sunflowers. 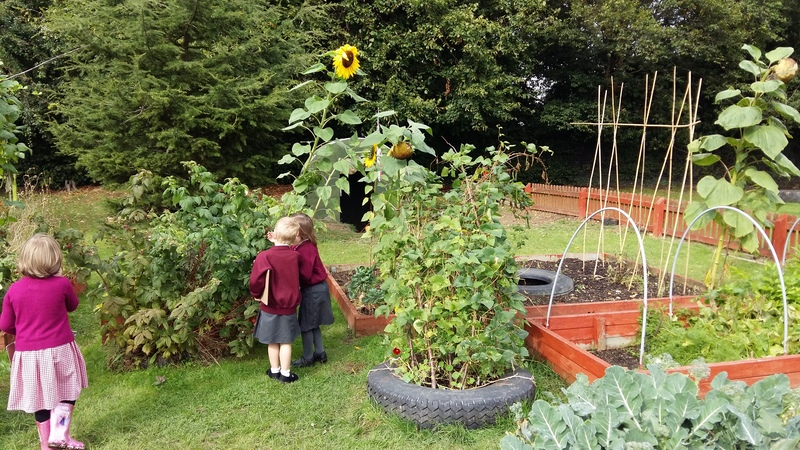 We went on a learning walk and found our sunflowers in the garden. 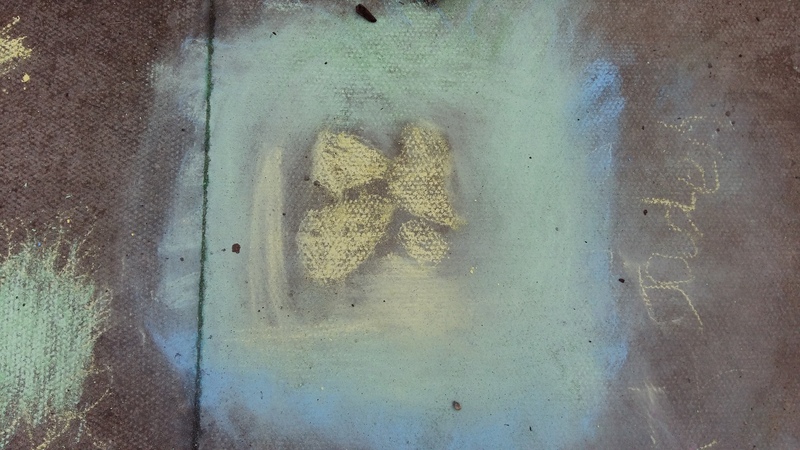 The children drew their own Van Gough inspired pictures in chalks and made some fabulous 3d pictures. 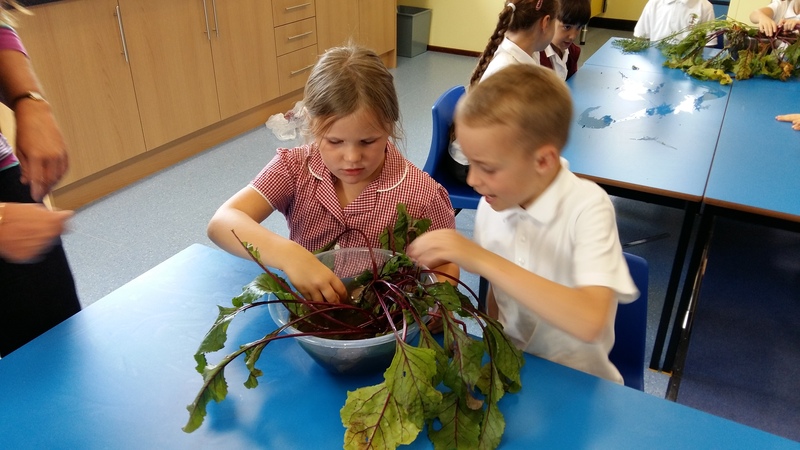 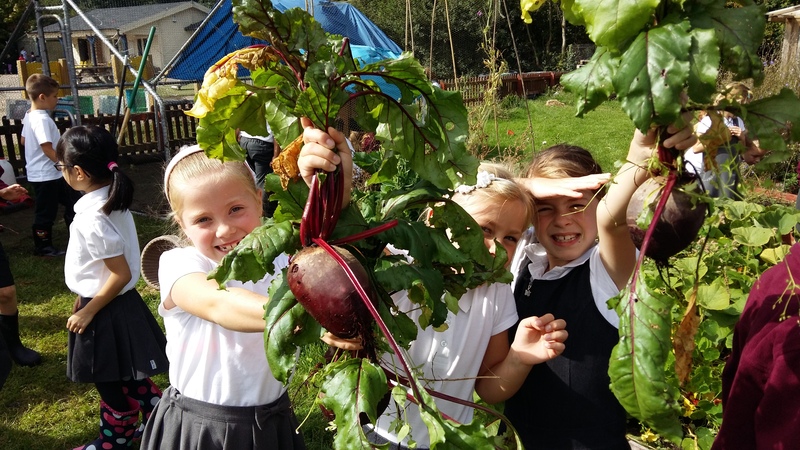 The children in Year 3 dug their own beetroot up out of the garden and used it to make roasted vegetable parcels. 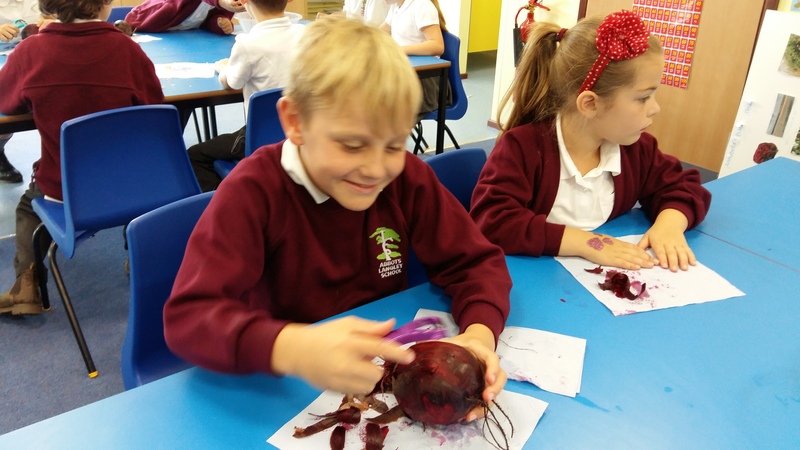 We can’t wait to taste it tomorrow. 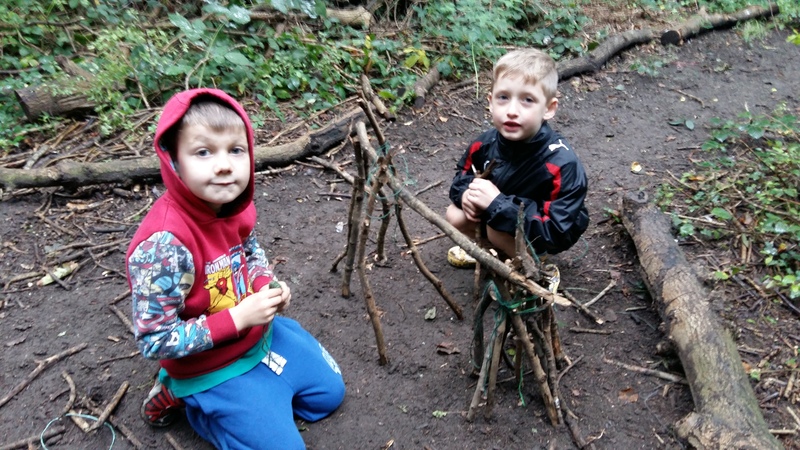 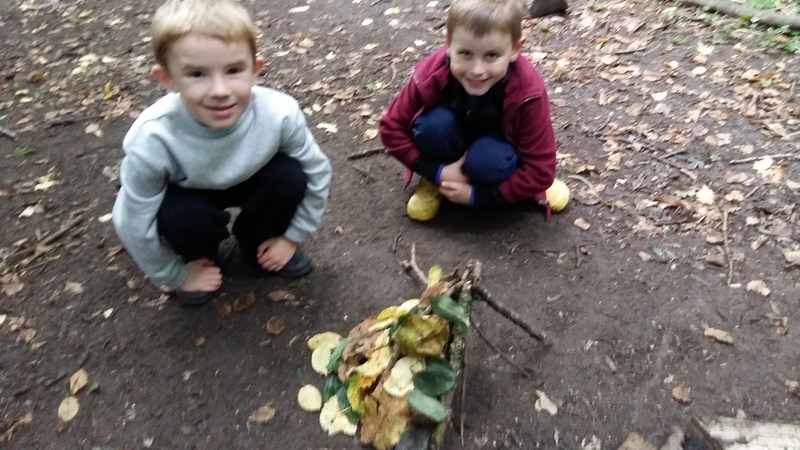 How to make a stable structure in the forest. 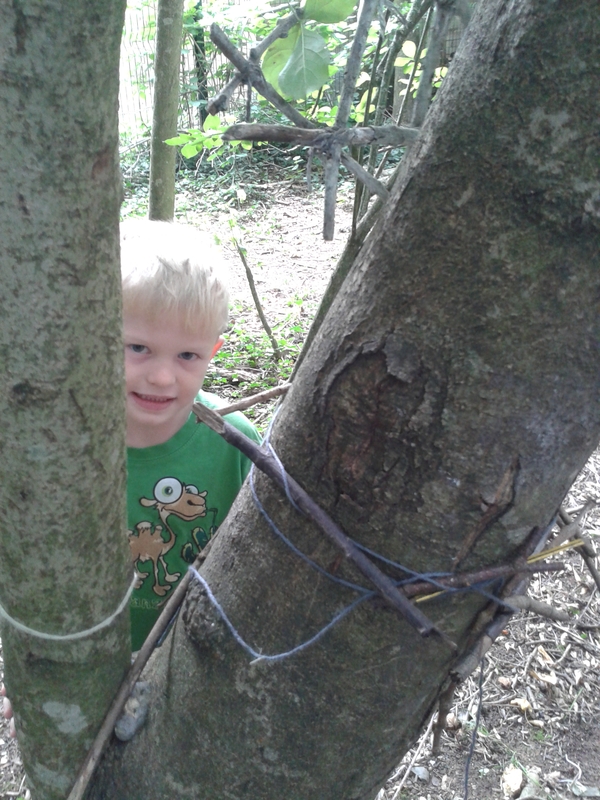 Newsflash: The children of Neverland have discovered the Abbots Langley fairy friendship tree! 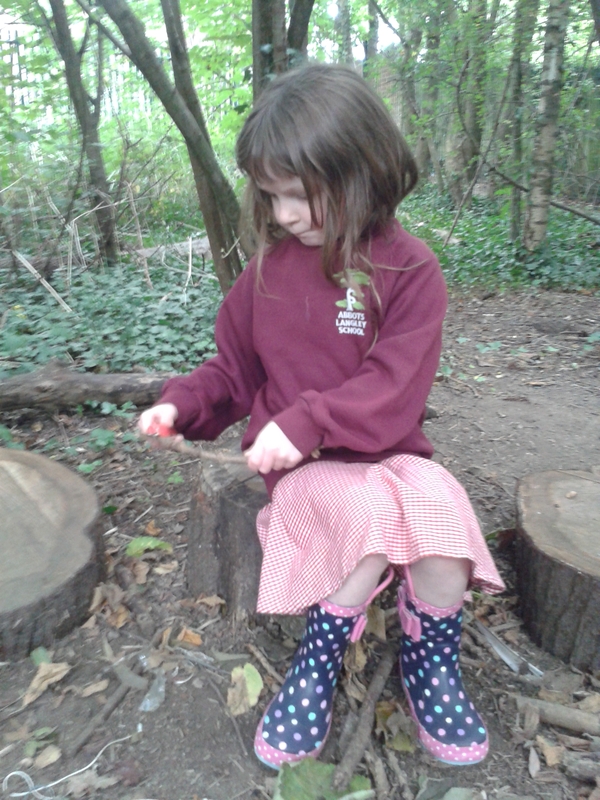 Our first forest school session with our brand new Puddleduck children. 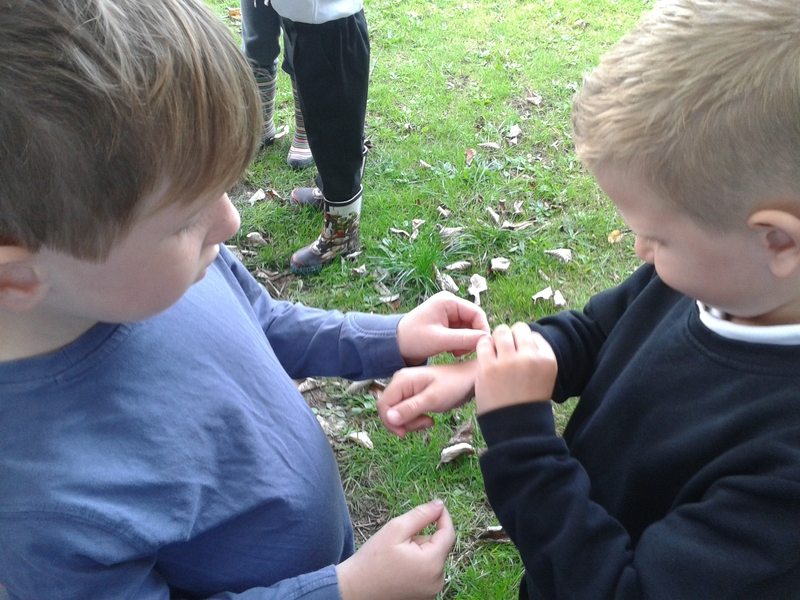 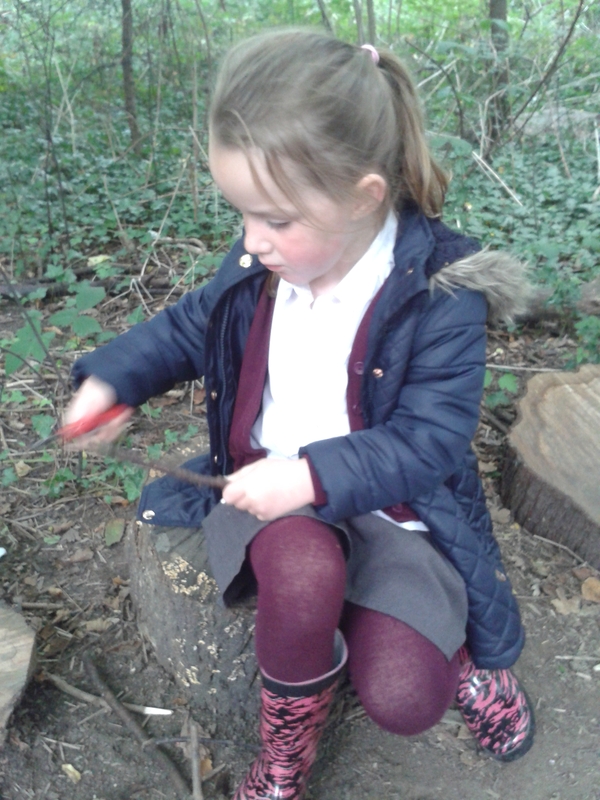 We learnt how to make natures pencils by peeling sticks to make them sharp. 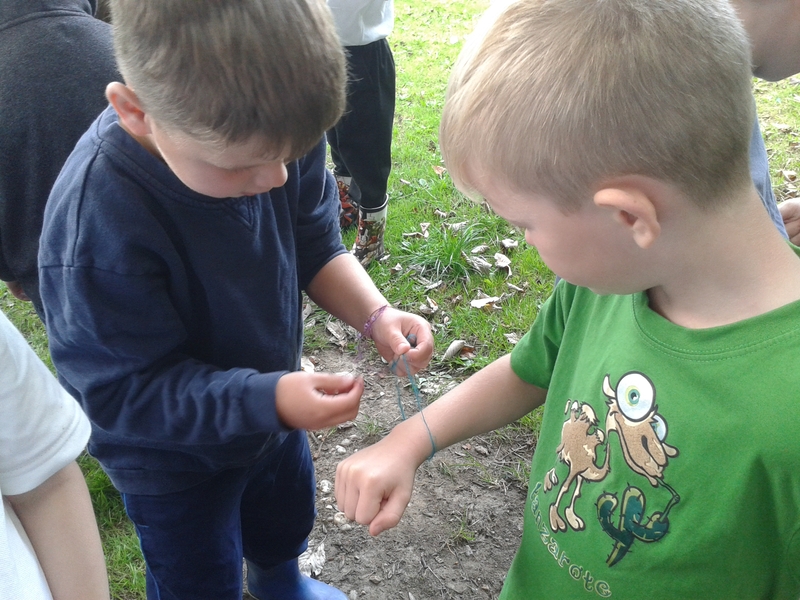 We then wrote our names in the mud! 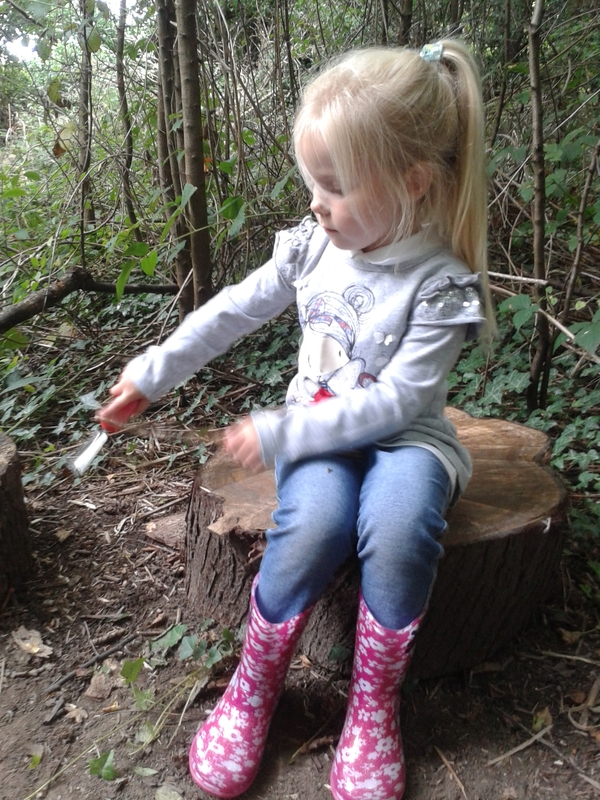 Looking forwards to more forest fun next week. 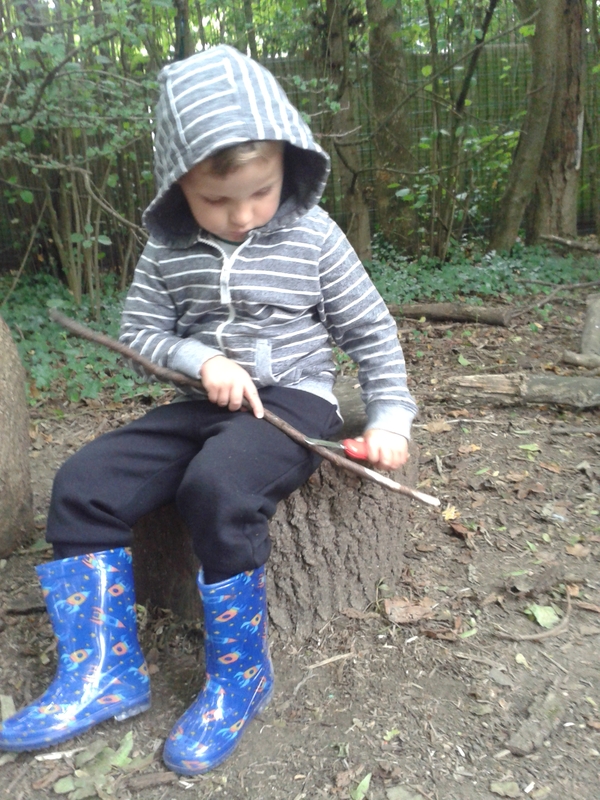 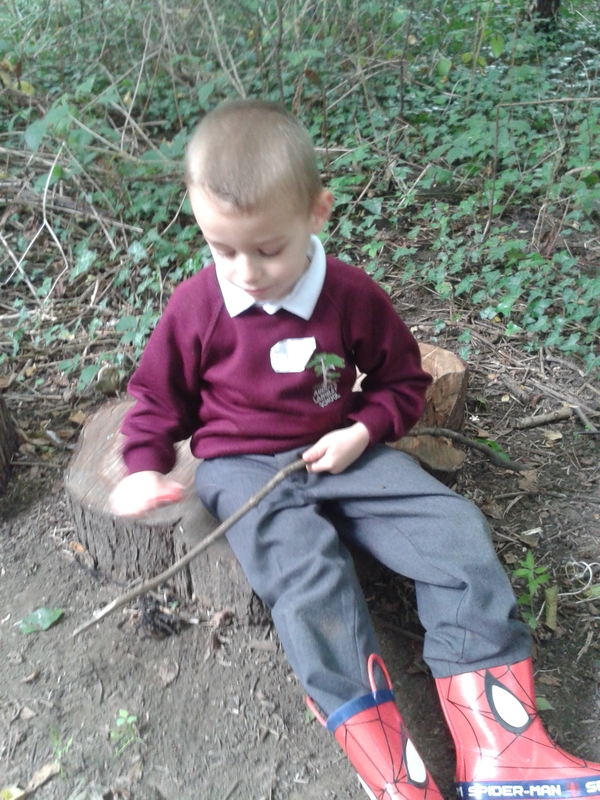 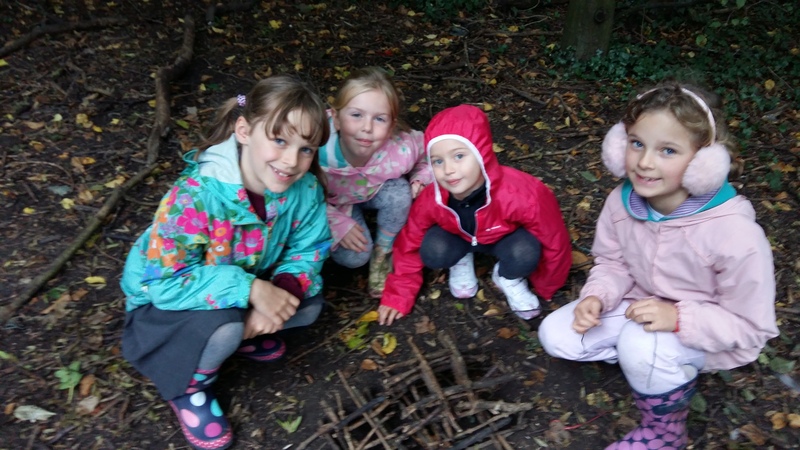 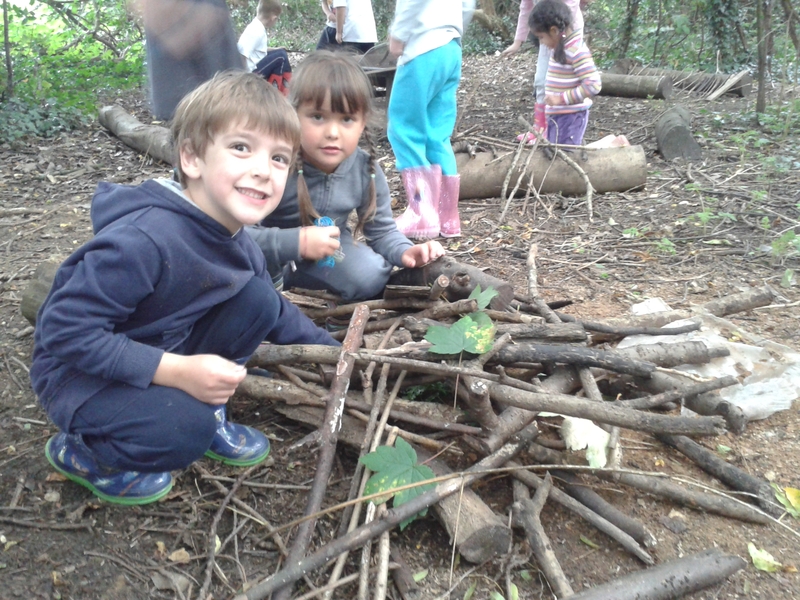 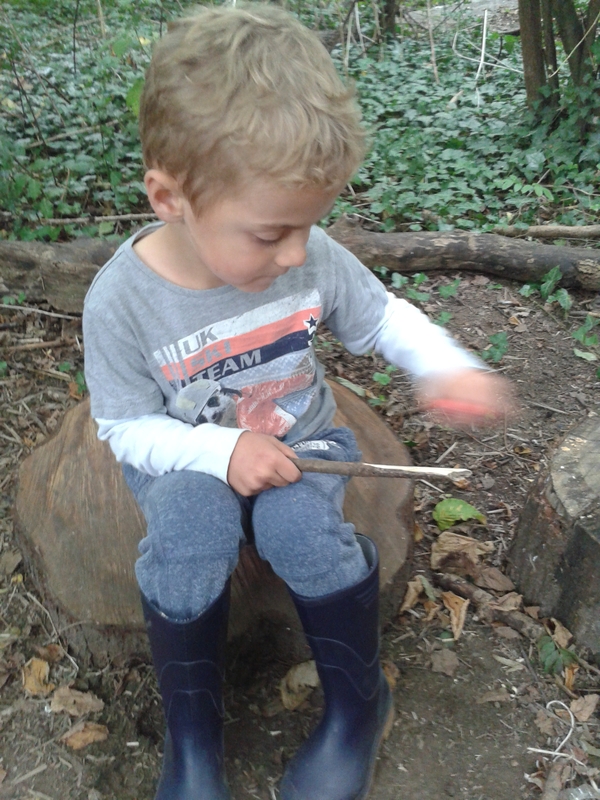 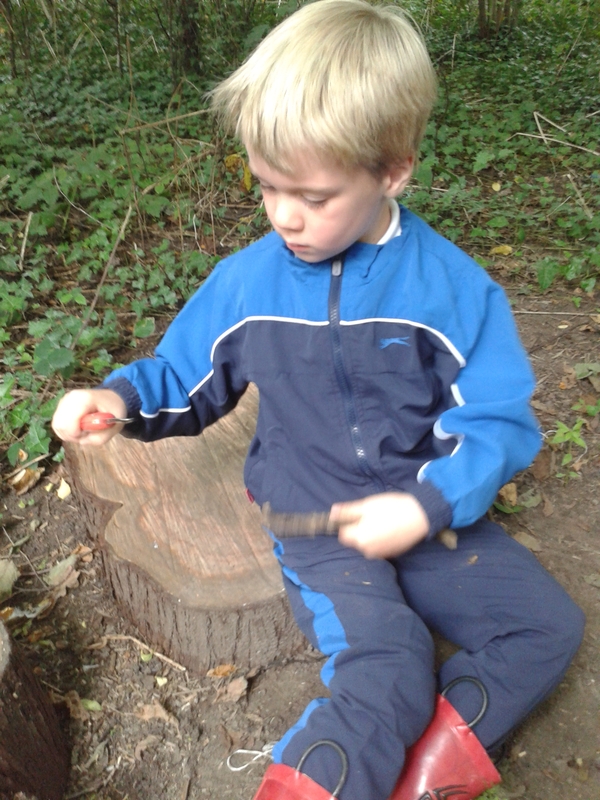 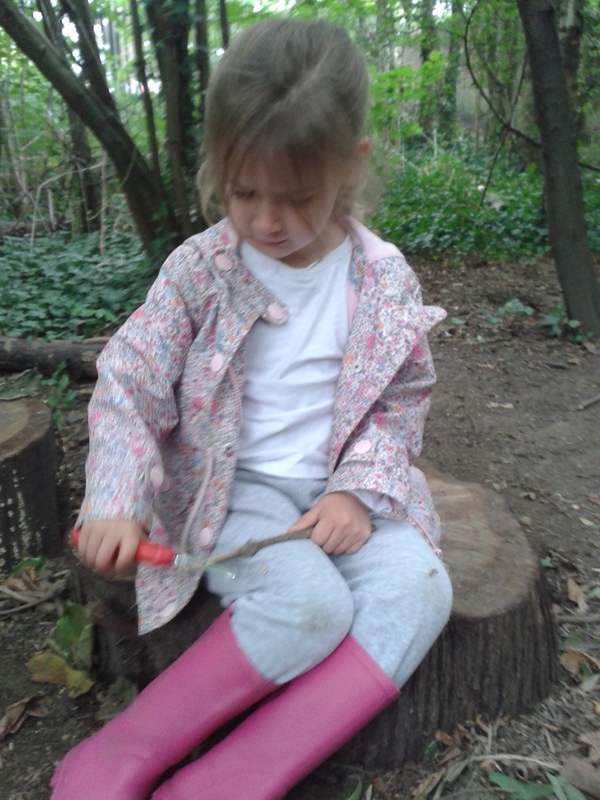 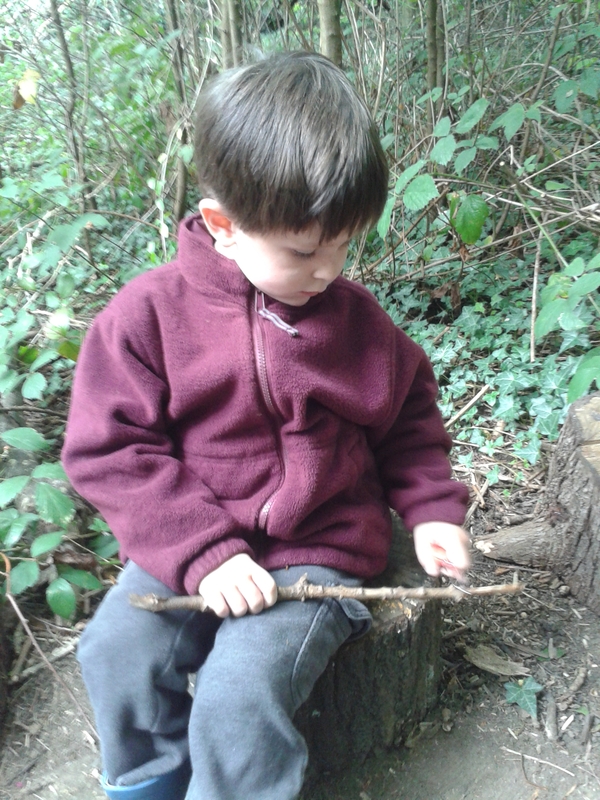 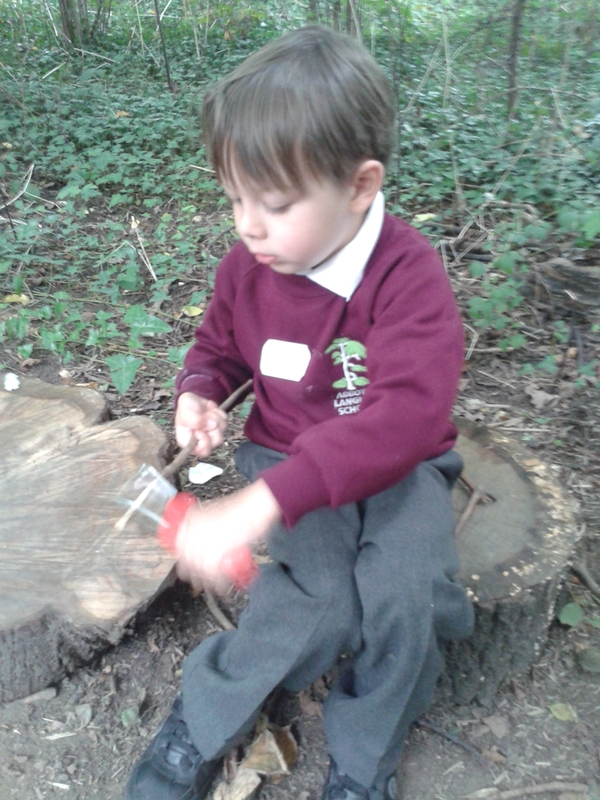 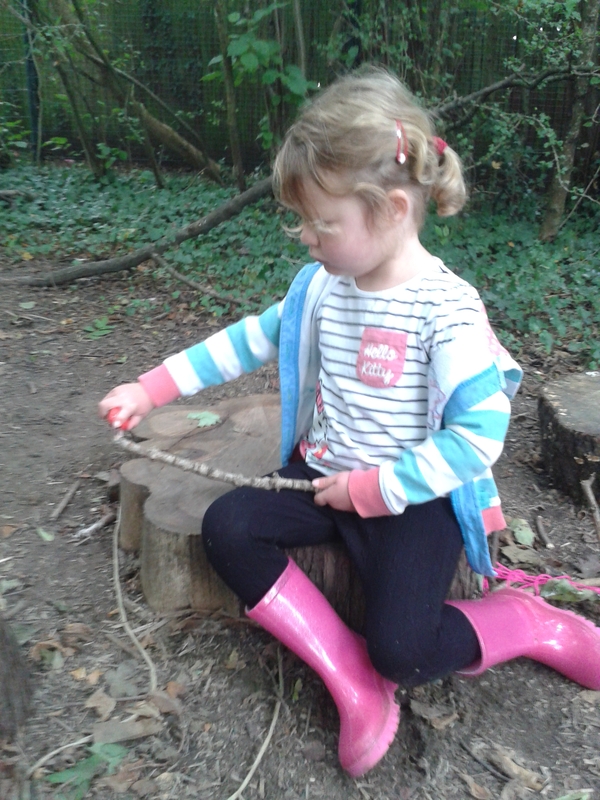 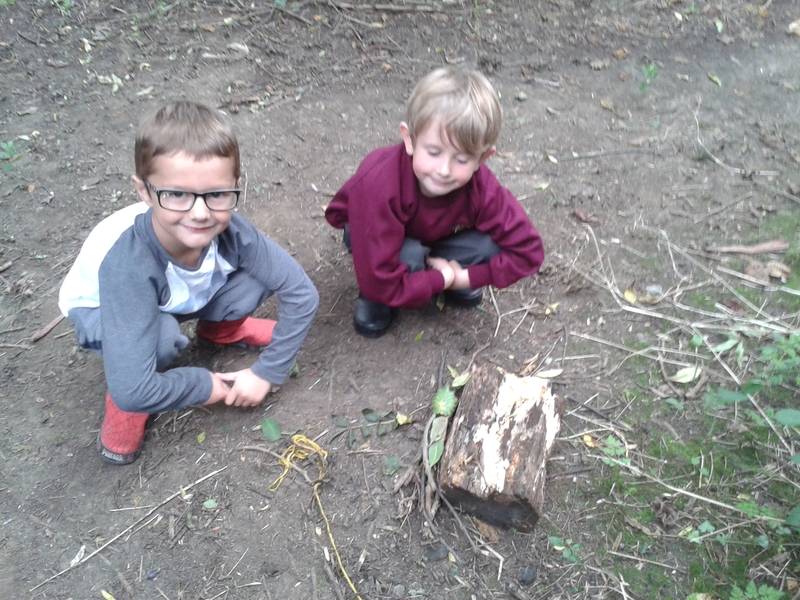 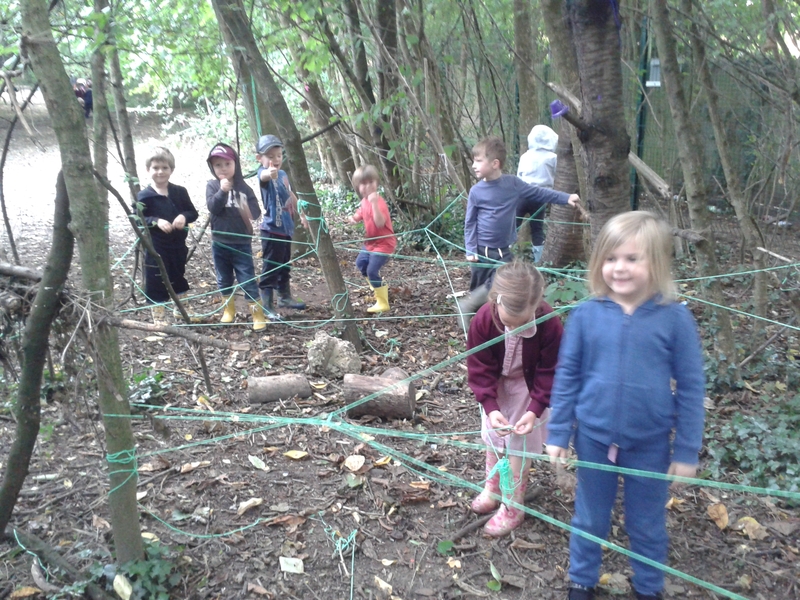 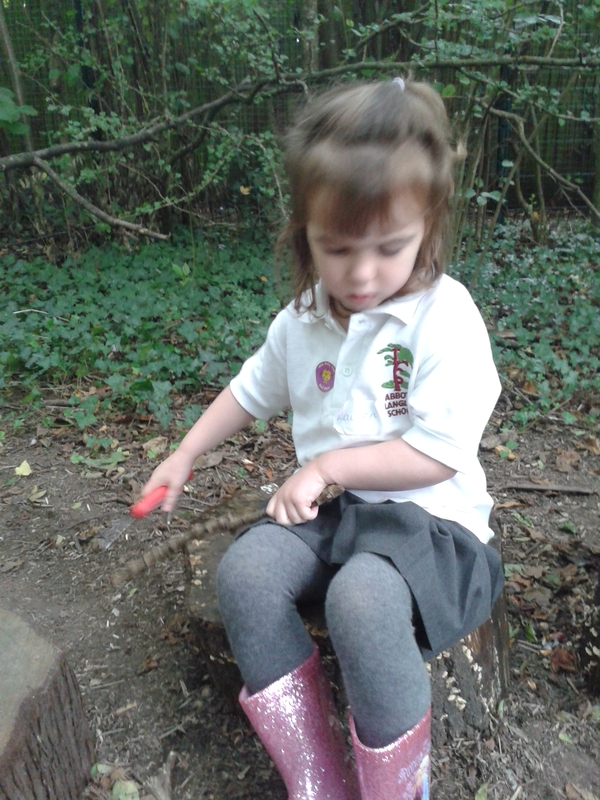 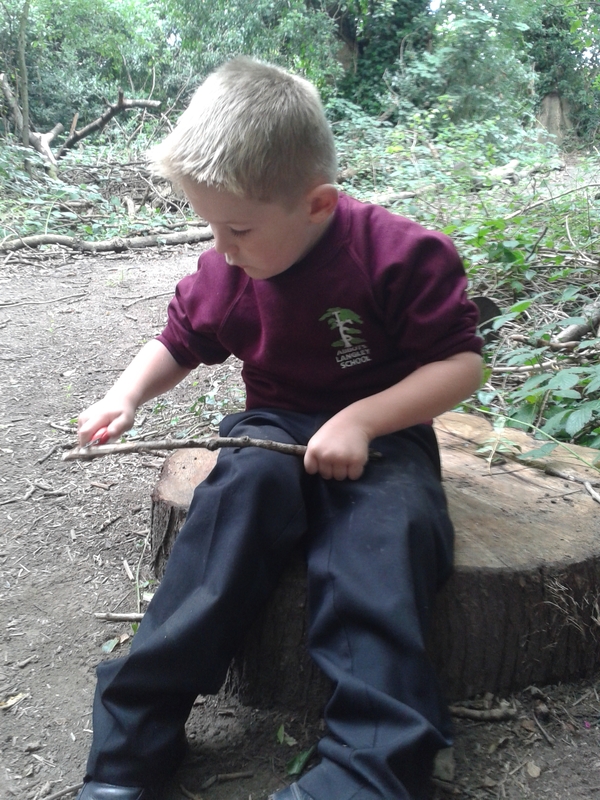 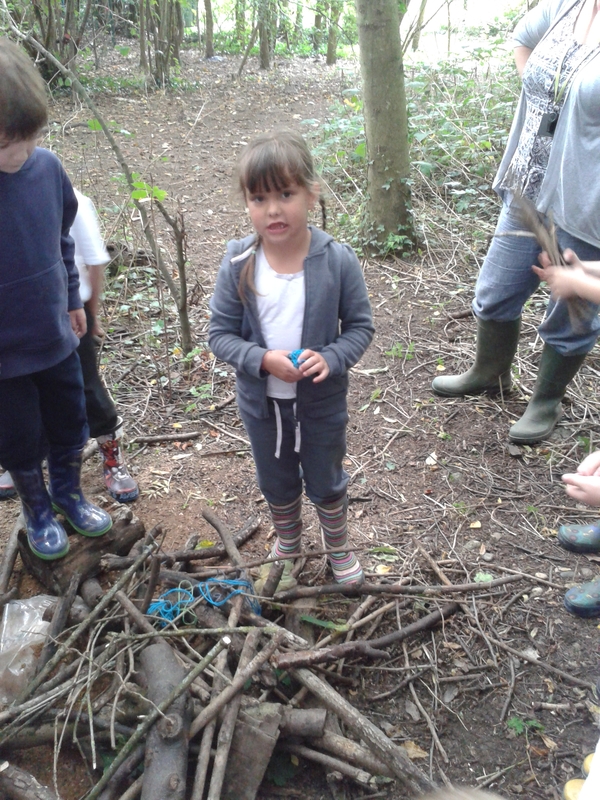 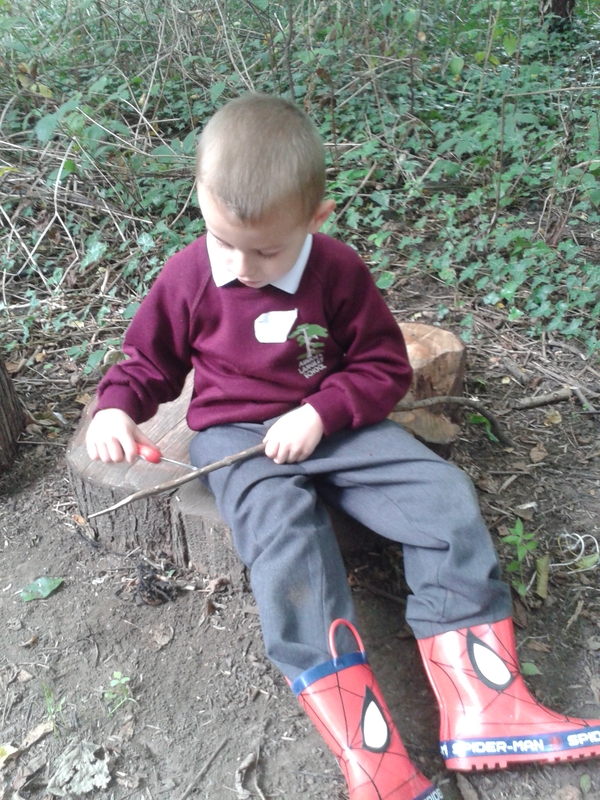 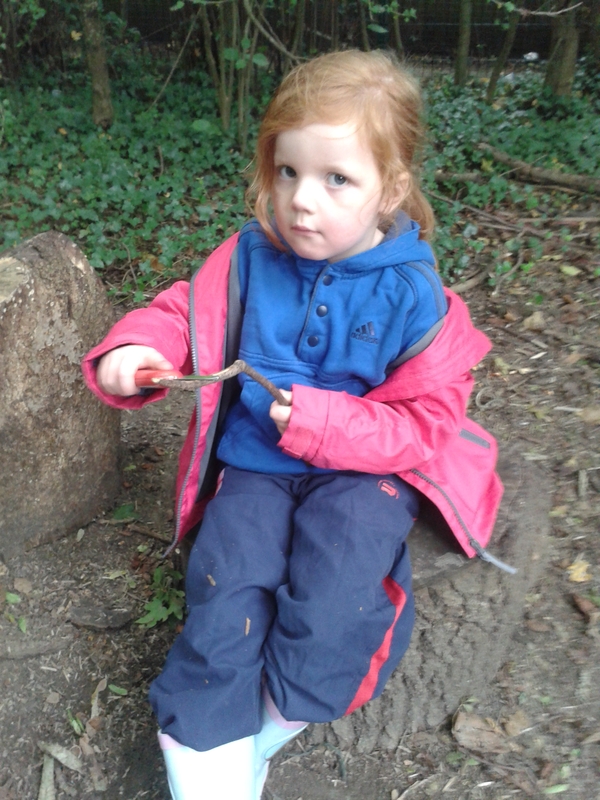 It was great to be back in the forest with Year 1 after the summer break. 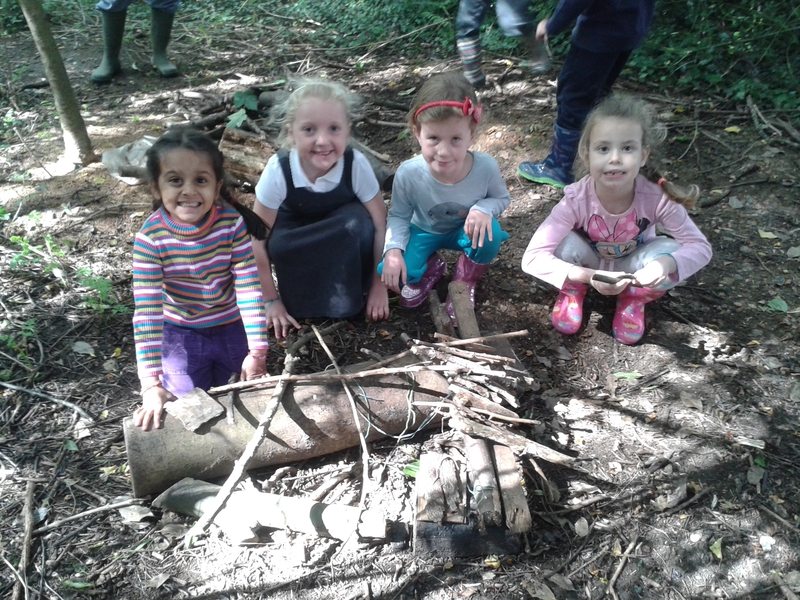 This half term we are going to investigate the characteristics of a village and we began by helping the fairies who had moved into the forest over the summer by rebuilding their village that had been destroyed by a dragon! 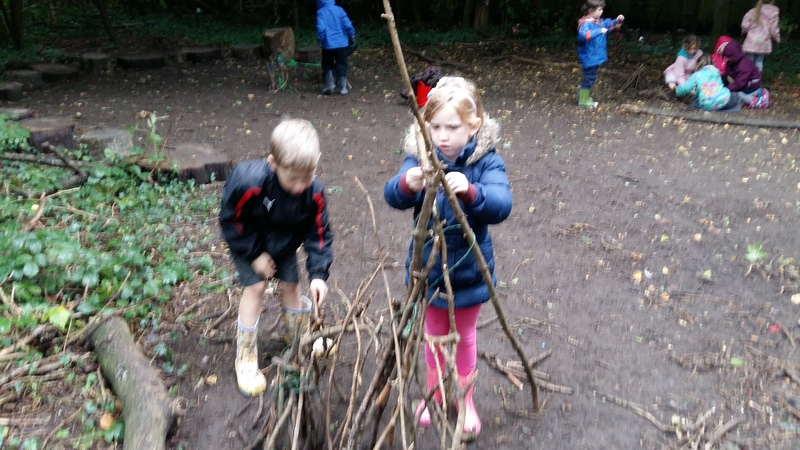 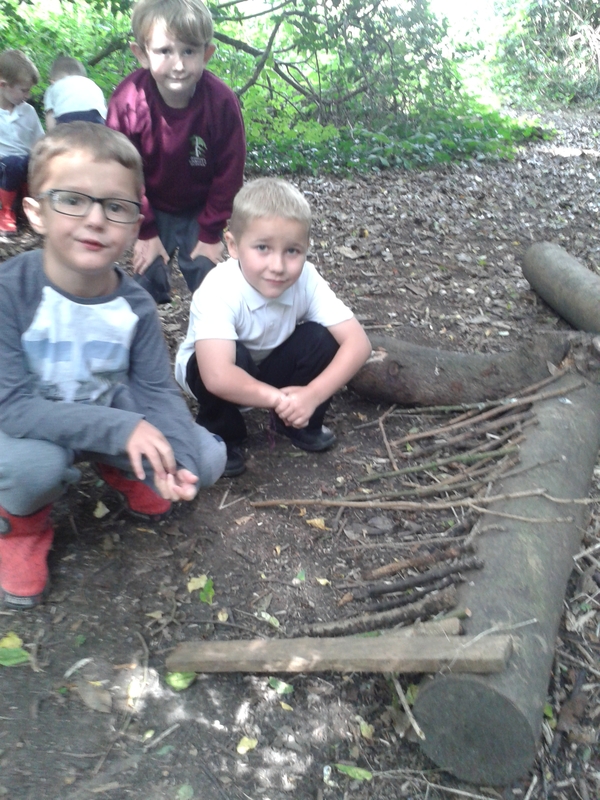 The children had some lovely ideas of what to build using natural materials and decided they needed to create a trap to catch the dragon.